Suggested Use: Take 1 tablet daily as a dietary supplement of vitamin C.
ABOUT THE TIME-RELEASE FORM: The body can absorb only about 400 mg of unassisted vitamin C during a several-hour period. The time-release form parcels out the dose, improving absorption and duration of action. 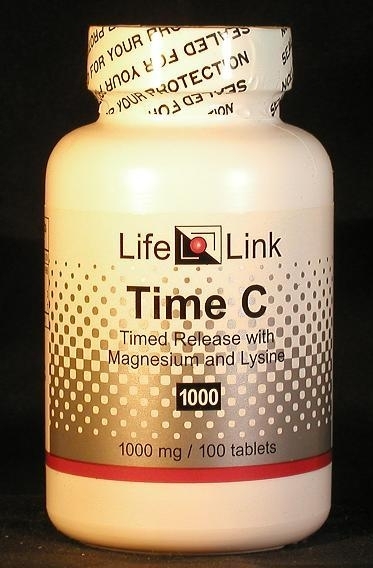 ABOUT THE TIME-RELEASE FORM: The body can absorb only about 400 mg of unassisted vitamin C during a several-hour period. The time-release form parcels out the dose, improving absorption and duration of action. Lysine and magnesium are added for synergy in preventing certain conditions such as asthma attacks.